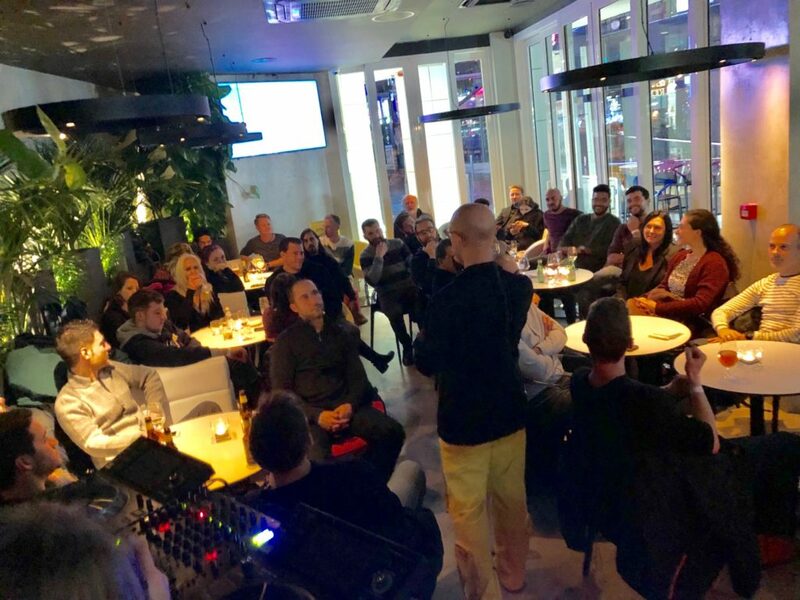 Our head of growth and insights, Luca Catania, organised Let’s Bold, an event where people were encouraged to recycle old ideas, dig out their past failures and discuss what they’d learned about UX and conversion rate optimisation. Luca dug into his contacts book and got three specialists to visit us from overseas. Brian Cugelman is an expert in behavioural science, data science and digital media who has previously worked for the Pentagon and the United Nations. Elisa Fratini works in user research and is a senior UX manager at PwC in Italy, and Valerio Massacci is a senior CX manager, also at PwC. A room filled with Blexrians and those members of the public who signed up for this free event split into groups and were visited by the three guest speakers, as well as Luca himself. Each discussion began by the speaker pulling an item out of a box and then relaying a story linked to it, before taking questions on the topics raised. The items included a shirt on a hanger, a tripod for a mobile phone, a masquerade mask and a decorative strip of cloth birds. Luca said: “I was really happy to get such excellent people, who have so much knowledge, to speak at Blexr’s first Let’s Bold event. Elisa said those working on new ideas “don’t need to be sad because they failed”. Valerio spoke of the importance of talking about “how to work with and conduct research for your clients”. Keep an eye on our social media feeds on Facebook, LinkedIn, Instagram and Twitter for future Let’s Bold events, where more guest speakers will be sharing what they know.